If there’s such a thing as a flagship budget smartphone, then the Motorola G7 Plus is just that. The Moto G7 Plus has just been announced in Brazil, and Motorola has given me exclusive access its latest pride and joy. Unusually for a ‘Plus’ model phone, the display on the Moto G7 Plus is no larger than that of the standard Moto G7 – both have a 6.2in, FHD panel. It does have beefier internals and more superior camera specifications, however. Motorola never fails to impress with the build quality and performance of its budget phones and the G7 Plus carries on that tradition. Physically, though, there’s not all that much difference between this phone and its cheaper sibling. At 176g, the Moto G7 Plus is just 4g heavier than the Moto G7. Both are clad in glass front and back, both have rear-mounted fingerprint readers and both also bear the same dipped notch, so it really is tricky to tell them apart. They do come in different colours, at least. The Deep Indigo and Viva Red colour schemes of the Moto G7 Plus (both are featured in my photos) help the casual observer tell them apart from the black or white finishes on the standard Moto G7. 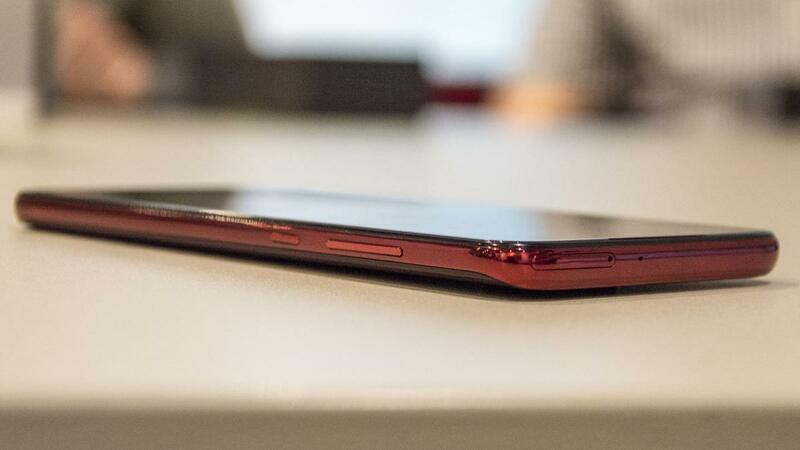 I don’t mind admitting that there was considerable confusion among the journalists at the Motorola Moto G7 launch event, which only subsided when one of the Motorola staff clarified which colours belonged to which models. Running the show inside the Moto G7 Plus is a Qualcomm Snapdragon 636 CPU, with an Adreno 509 GPU. The regular G7 – which is £30 cheaper – packs a Qualcomm Snapdragon 632, and thus won’t be quite as speedy as its premium counterpart. Like the G7, the G7 Plus has 4GB RAM and 64GB storage which can be expanded up to 512GB via microSD. Based on benchmark tests I ran on the G7 Plus in Brazil, its CPU is around 20% faster than last year’s Qualcomm Snapdragon 630. That said, graphics results were essentially identical. Considering it’s launching in the UK at only £269, the Moto G7 Plus has some seriously impressive camera specifications. On the rear is a dual 16MP (f/1,7) and 5MP setup which boasts optical image stabilisation and is capable of capturing 4K video at 30fps or 1,080p at up to 120fps. It also has a dual LED flash to the Moto G7’s lone LED. The G7 Plus also has a respectable 12MP selfie camera. For its price bracket, the Moto G7 Plus looks like the one to beat in 2019, although manufacturers like Honor and Xiaomi will put up some fierce competition. If you’re on a budget and after a new phone in 2019, the Motorola G7 and Motorola G7 Plus will both be vying for your attention. With only £30 between them, it’s going to be a tough choice. The Moto G7 Plus does have superior specifications, though, and for the extra CPU speed and camera quality it’s almost certainly worth the additional expense. The Motorola Moto G7 Plus is expected to go on sale in mid-February 2019.